FISH PLAIT FRENZY! HOW TO GET IT! I remember experimenting with the fish plait when i was a lil’ lass, but now i am glad to see that is one of the big hair trends seen on the runway as well as celebz!! 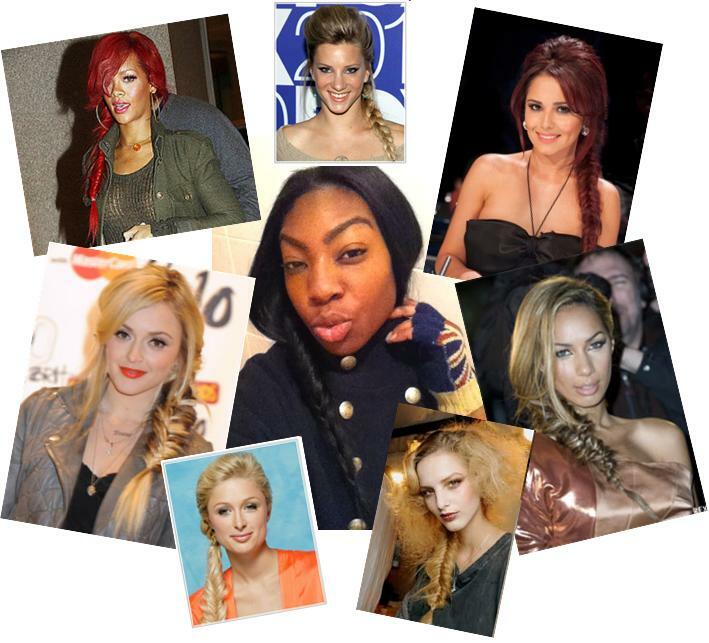 So i decided to Follow the more CURRENT fish plait trend and post up my ”Tried and Tested’. How do get the ‘Fish Plait’ look? i thought i heard you ask that… well here is a video tutorial by Westfield’s Tony & Guy showing you how to do it! Next Post GOT THE HOTS, FOR ANKLE SOCKS! !